Let’s be honest. The announcements for Super Smash Bros. 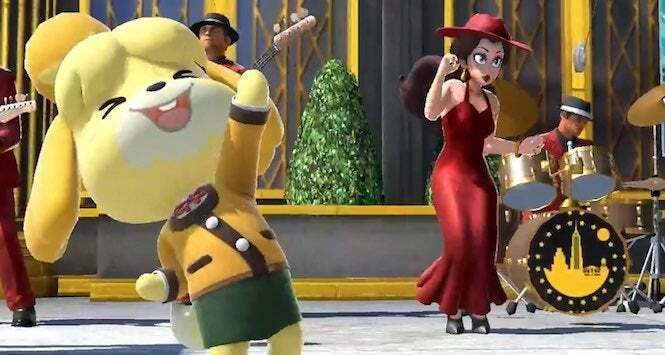 Ultimate have been stellar thus far, between the Belmonts from Castlevania, King K. Rool, Isabelle from Animal Crossing and a number of other features being confirmed for the game. But the game’s director warns us that we probably shouldn’t get used to getting so much information from the game as often as we have. In a new column posted by Famitsu, game creator Masahiro Sakurai noted that while fans have been enjoying this little downpour, it’ll be slowing down a bit as we get closer to the game’s release. That’s not to say the roster is finalized by any means. There could still be a surprise or two closer to the game’s release, as well as DLC characters announced down the road, including a few surprises. But the announcements we’ve gotten so far have spoiled us quite a bit -- and left the Smash Bros. fan base buzzing to give Ultimate a try. While he was speaking, Sakurai also provided a small update on the game’s progression cycle. He did note that the game will “be complete in just a little longer...or so we expect!” Hopefully this doesn’t mean a delay, because Nintendo needs this little slugger in time for the holiday season. Super Smash Bros. Ultimate will release on December 7 for Nintendo Switch.